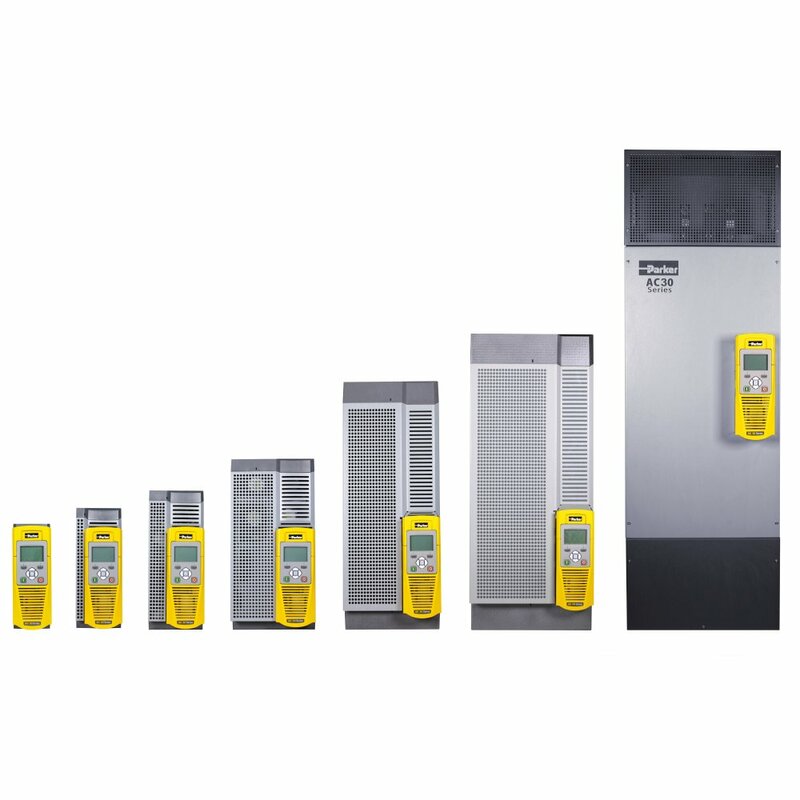 The AC30V variable speed drives provide users with exceptional levels of motor control for general purpose open-loop industrial applications up to 250kW. A range of communications and I/O options are available separately. Automatic belt breakage detection : Interactive monitoring of the running conditions of a fan allows AC30 to detect a breakage in the drive belt between the fan and motor, stop the motor and indicate an alarm condition. Catching a spinning load – “fly-catching” : The fan control algorithms enable the AC30 to detect when a fan is free-wheeling and to regain control of it before running it at the commanded speed. PID Control : Multiple PID control loops can be programmed to monitor process variables and adjust the speed of the motor accordingly to achieve the required variable setpoint. Essential services (Fire mode) : Selected via digital input, Fire mode will cause the drive to run continuously at the maximum programmed speed ignoring all other control signals and alarm conditions. Energy Optimisation : Under constant speed conditions, the motor power waveforms from the drive are optimised to reduce motor energy consumption without compromising performance. 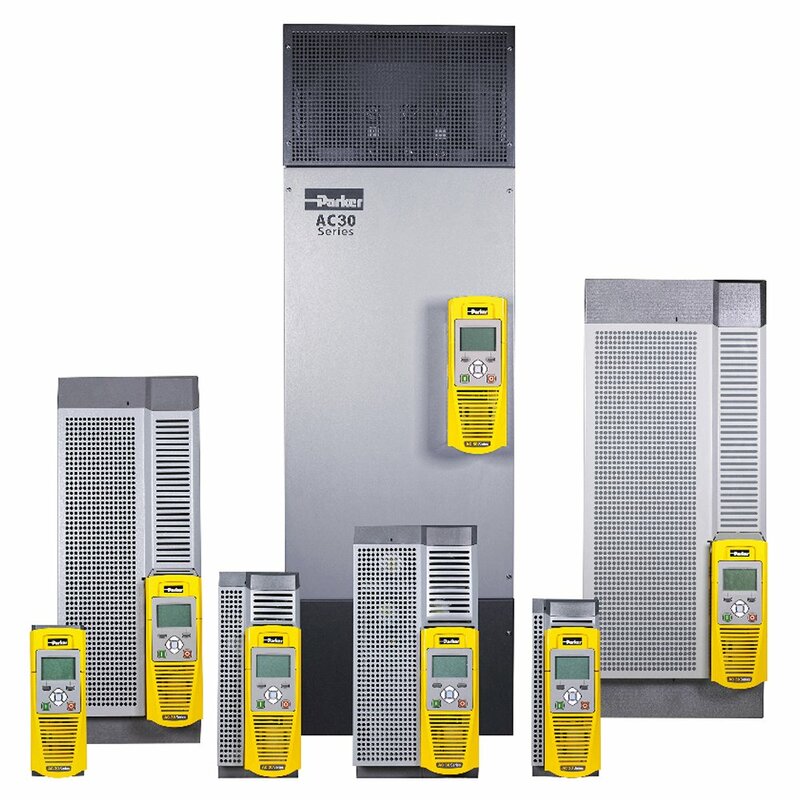 Skip Frequencies : Up to 4 speed and frequency bands can be programmed in the AC30, to enable resonant points on the fan to be avoided, reducing vibration, wear and noise. Timed Run Function : 10 daily start/stop events can be programmed with different running speeds across a 7 day period. 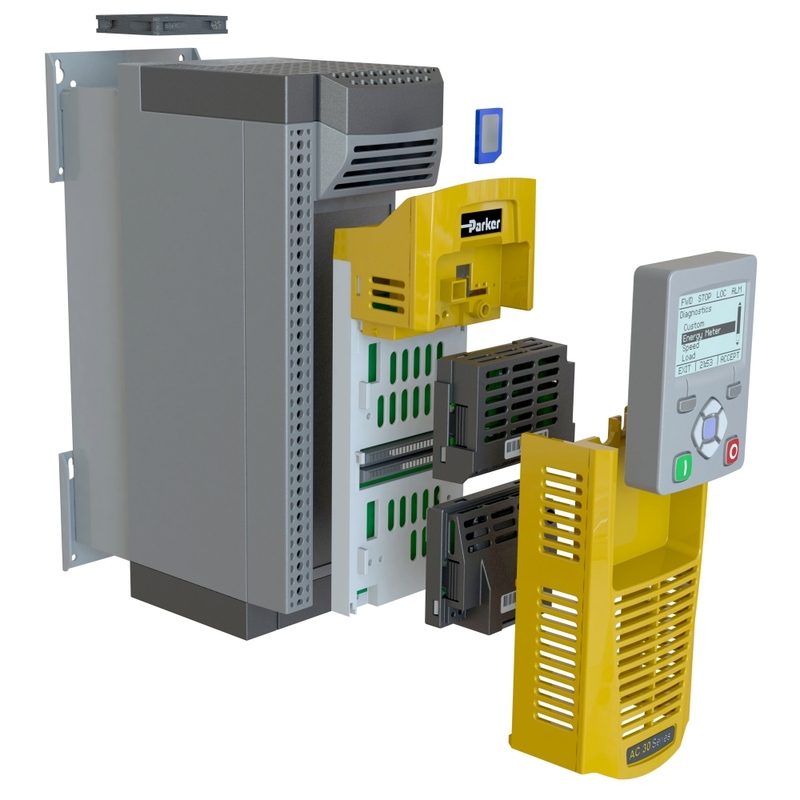 This function requires the optional Real Time Clock (RTC) module and is ideally suited to applications where regular operating patterns or periods of activity need to be accomodated, such as in a production environment. 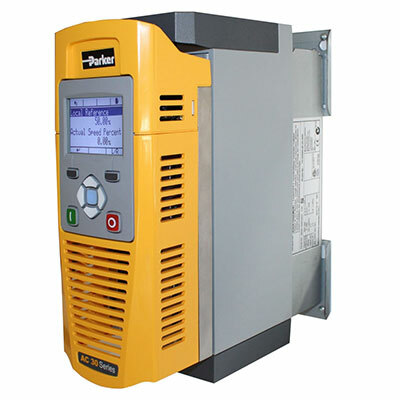 Process Timers : Multiple hours-run timers can be programmed to generate text alerts on the drive keypad to coincide with process maintenance intervals. Setup wizards guide the user through every stage of commissioning a new drive, or reconfiguring an existing drive; from selecting a motor from the supplied database, or entering specific motor data, through to configuring application macro’s or control logic to suit your specific application. Tuning wizards allow technicians to monitor and adjust drive parameters in either a simple predefined environment or an advanced mode which allows access to every parameter in the drive.